Tucked away in a blue-chip locale, this light and airy two bedroom apartment enjoys elevated views, a quiet rear aspect and close proximity to popular cafes, shopping strips, picturesque Queens Park and public transport options. Located within an established, well-maintained block of only eight, the property is certain to catch the attention of savvy owner occupiers, market entrants and investors searching for a rewarding, low maintenance lifestyle opportunity. Larger than most, a spacious layout comprises separate entry hall leading to light filled open plan living zone opening onto a balcony with leafy views. Enhancing the zone is a tastefully updated kitchen/meals with stone counters, glass splashbacks, ample cabinetry and electric stove. There are two double bedrooms, one boasts built-in-robes. They share pristine bathroom which also offers laundry function. 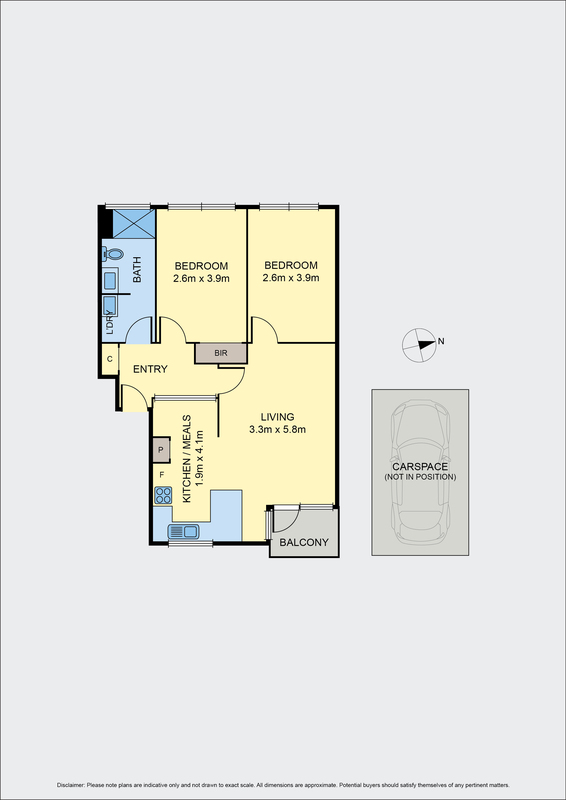 Includes heater, blinds, storage cupboard and designated undercover car space. In a quiet street, whilst close to Mt Alexander Road shops, Puckle Street, Moonee Ponds Central, private schools, trains, airport and freeway access.